The world of Harry Potter has inspired the minds and creativity of many people around the world. The films and novels have taught fans (including me), that it’s okay to face your fears, that bravery comes in many forms, and and that you can do anything when your friends are by your side. The lessons, characters, and stories from this franchise have led Potterheads to create some amazing Harry Potter fan art pieces, all of which are truly magical. 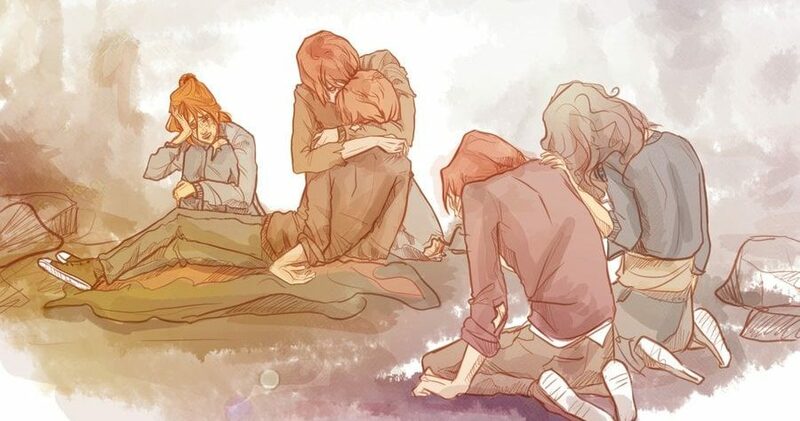 This piece of Harry Potter art really stood out to me. As you likely know, the wizarding world all came from the brilliant mind of J.K. Rowling. I love how the artist depicted J.K. Rowling picturing iconic Harry Potter characters, places, and objects in her mind. Being both a Harry Potter and Doctor Who fan, I had to include this piece of fan art. Wouldn’t it be amazing if there was a crossover between these two franchises? 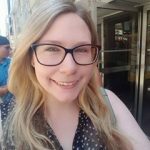 I know that it’s unlikely, but one can only dream. 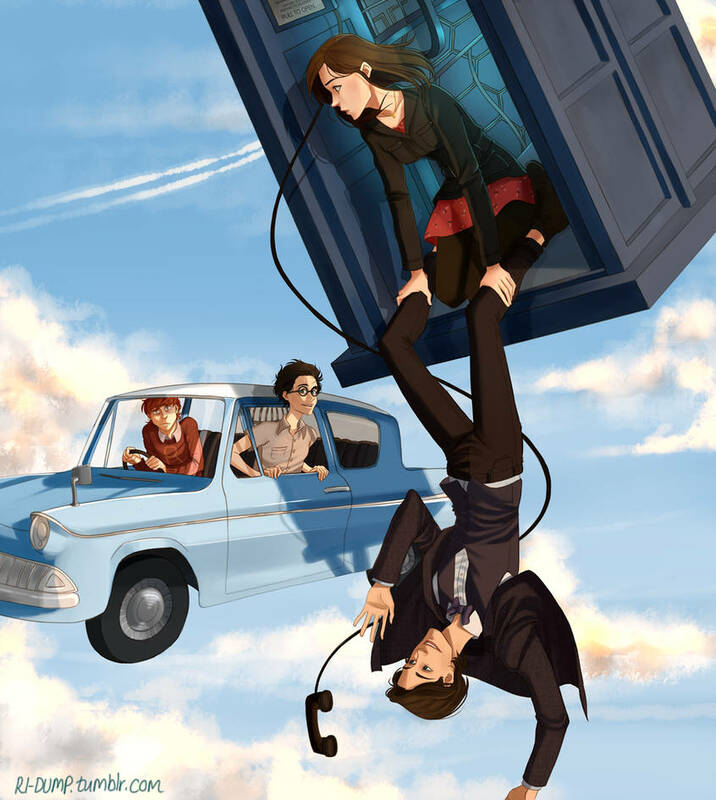 This image depicts Harry and Ron in the Weasley’s flying car (from Harry Potter and the Chamber Of Secrets), next to the Eleventh Doctor (Matt Smith) and Clara Oswald who are in/hanging from the Tardis. 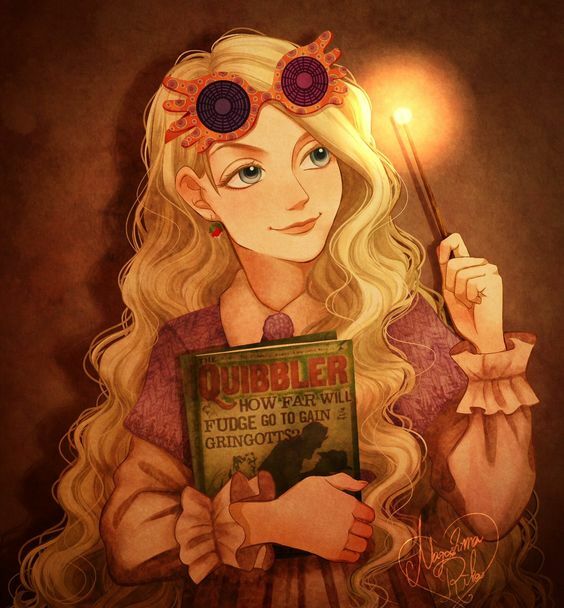 This fan art depicts Luna Lovegood’s iconic look from Harry Potter and the Half-Blood Prince, Spectrespecs and all. The artist does put their own spin on her outfit and hair, which makes Luna seem more feminine and whimsical. As any fan can tell, what the book says is different as well, with The Quibbler headline saying, “How Far Will Fudge Go To Gain Gringotts”. I wonder what the intention behind this change was? In August of 2018, Harry Potter fans went crazy after the above Twitter post of Hermione fan art came out. This beautiful fan art piece features this artist’s take on what Hermione looks like. Most fans imagine Hermione as Emma Watson. However, after Noma Dumezweni, a black actress born in Swaziland, was cast as grown-up Hermione Granger in the play, Harry Potter and the Cursed Child, many Potterheads second guessed what Hermione actually looks like. Nowhere does it mention Hermione’s skin color, leaving that up to the reader’s interpretation. This scene was heartbreaking not only for Harry Potter fans to watch, but for the Weasley family and their friends at that moment. 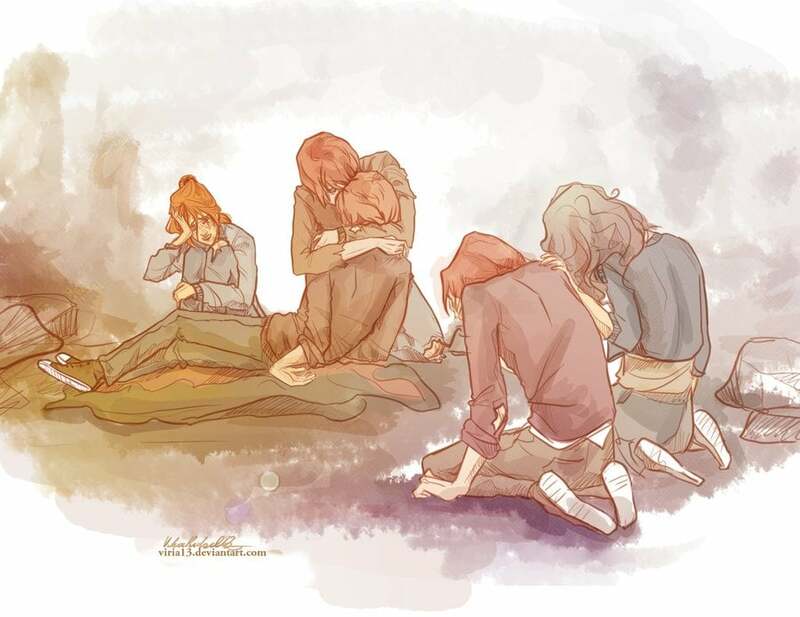 Just by looking at this Harry Potter art piece, you can feel the pain the Weasley’s are going through, losing a member of their close-knit family. Hedwig was truly Harry’s best friend. She would do anything to help Harry and protect him from any dangers. This fan art depicts the joy and bond between the two, from the very start. Dobby would do anything to help Harry Potter, even if it meant risking his own life. 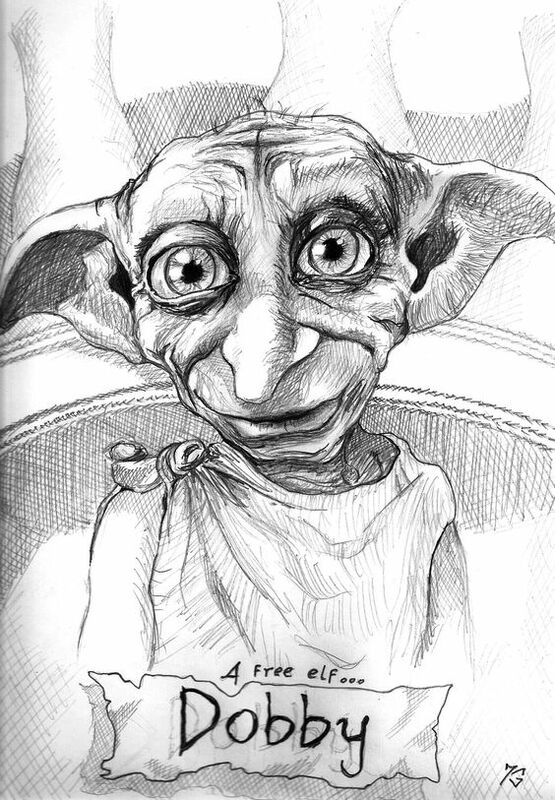 Harry Potter showed him a kindness by freeing him, and in return, Dobby showed him the same kindness. 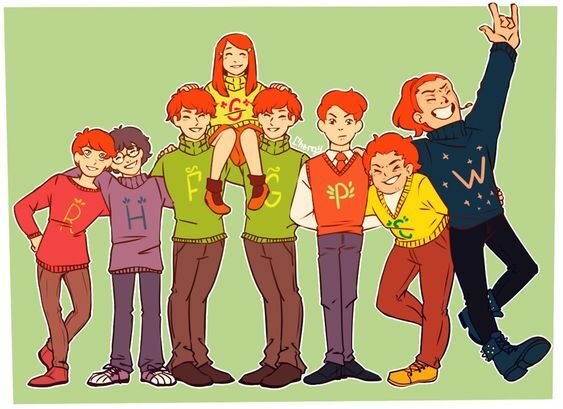 Nothing is more magical than Christmas with the Weasleys, all wearing similar hand-made sweaters with their first initial on them. Honestly, who wouldn’t want to be part of the Weasley family? 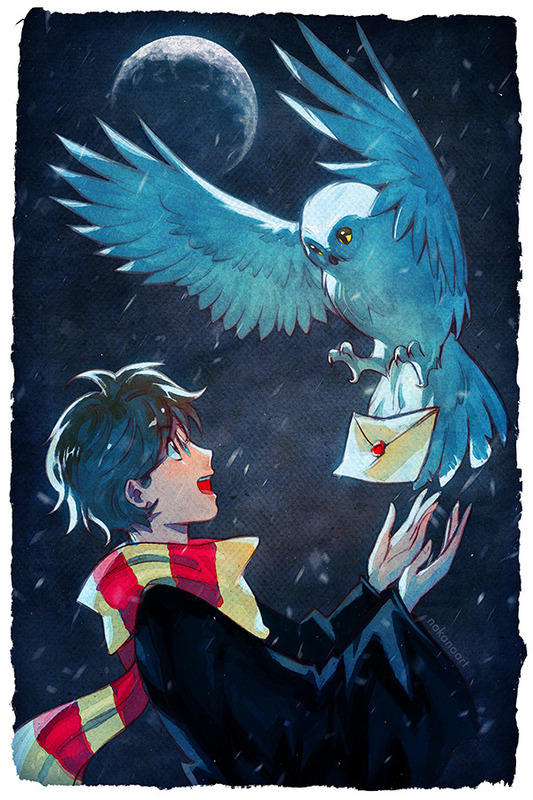 Those are some of my favorite Harry Potter fan art pieces that I came across online. Are there any Harry Potter art creations you love? Let us know in the comments below.